Many businesses use PPC to expand their business online by advertising and reaching out to the correct audience. PPC offers a faster and quicker response from the customers and is, therefore, a faster way than using SEO. However, this requires highly skilled and experienced professionals. 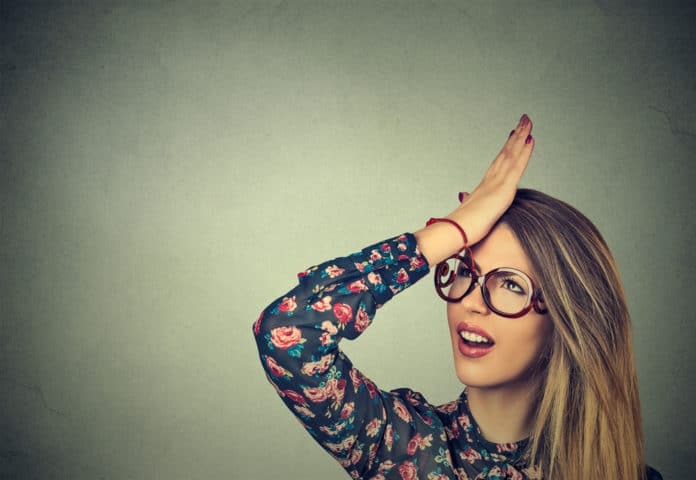 While many experts achieve their online marketing objectives using PPC, many are seen making silly mistakes. If you plan to use PPC to attract more traffic to your web page, you must make sure you avoid the common mistakes most PPC experts make. This is because when customers figure out your mistakes, there is a high chance of losing your reputation. Make sure your work is double checked and highly professional. Many dealerships use the already existing ads to modify them a bit. This is done to blend in and to follow the trend. However, this proves to be useless in many cases. Knowing how your rivals are working is must do thing. However copying them and their content is not very admirable by the customers. If you are paying for an ad, you should make sure you come up with something creative, eye-catching and unique while delivering the message, which is the most important part. In the end, you have to make sure your ad is relevant too and reaches the right audience. Many businesses do not separate their search results from content match. Car dealerships, when using PPC, should make two separate campaigns for different purposes. While one would be used for “content match”, the other one would be used for “search”. This will help you lower your marketing budget, as you would be able to pay different prices per clicks. It is very important to measure and test if the desired results are achieved by using the PPC techniques or not. Click Through Rate (CTR) is used widely to check how many views is the ad getting which is then used to analyze the performance and importance of that advertisement. However, CTR can give you a false indication and should be avoided as even useless views are counted too. A widely made mistake when using PPC is that different content is displayed on the landing page. If you show a 50% sale on your PPC ad, you know people will be attracted to the ad and once they are redirected to your landing page, they will be looking for the same offer. Therefore, it is better if you do not display content on your PPC ads and on your web page. Different content will make the online traffic consider you a fraud and will leave immediately. Using the company’s name, the affiliates can advertise their own products and services. What happens is that your company’s money is used to advertise for the affiliated companies. Make sure you monitor and track all your PPC ads so there is no or very less chance of being taken an unfair advantage of. When it comes to business and its growth, you have all the right to report if you notice any competitor using illegal methods and ways. Most companies do not report if they see their competitors running two ads at the same time on the PPC search engine page, as they do not know it is a cyber crime. You should always report to Google if you find any competitor taking the “short cut” as this helps you maintain a healthy competition in the industry. If your rival dealerships are using your company’s name as a keyword to spread negativity about you, you can report it too. Your company acts as an independent person who has the right to take all kinds of legal actions if anything unethical is being done with the company by the competitors. The shorter keywords you use, the higher prices you would have to pay and this might still not get you the desired results. It is better for automotive dealerships to use longer keywords in their PPC ad campaigns as it helps reduce the PPC budget and improves the search engine rankings. See what potential customers search and what your dealership has to offer. Then make the long tail keywords accordingly. Many car dealerships tend to avoid geo-targeting as they find operating their business in their state easier. Many companies do not think dropping ads in other states would help them, which is clearly not the case. You can use the various search engines to get you ads geo-targeted by states. When you know which states your ads will be displayed in, make sure you drop the name of the states in your ads. This makes the online traffic think you know their position hence expanding your customer base. Many dealerships use their PPC ads to display irrelevant content. This is a huge waste of money as that particular space in the ad could have been used for something more relevant and useful. Most tests have found the contact numbers in the PPC ads to be useless as there are very less chances of people calling you immediately after seeing your ad. What most people do is that they click on the ad, get redirected to the landing page where they learn more about the company’s offers and products and then contact the company via phone or email. So it is highly recommended for automotive dealerships and other businesses to remove phone numbers and email addresses from their PPC ads. Many search engines use different networks, which help distribute your ads according to your marketing needs. However, there are chances for many of these networks turning out to be fraudulent. This means, you not be able to receive referrals to quality traffic. To ensure that your traffic referral resources are legitimate, consider looking into your web statistics. Filter out those domain names that are bringing you traffic with a high bounce rate.